I have about 2 minutes, while taking a break from watching Brawl of America live stream. Let's see if I can bust out a blog post! 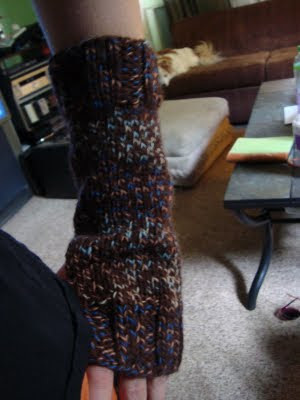 My version of the Alice Cullen wrist warmer in New Moon. Knit with Knit Picks Shamrock. 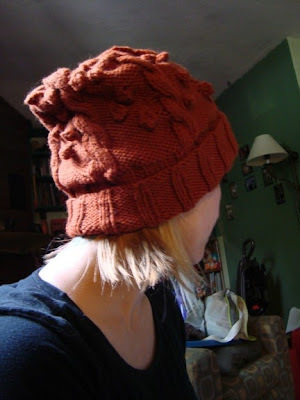 Decode, in Knit Picks Swish Bulky, pumpkin orange color. I forget what it was called exactly! AHHH! Jam is starting! Burning River! Must watch!